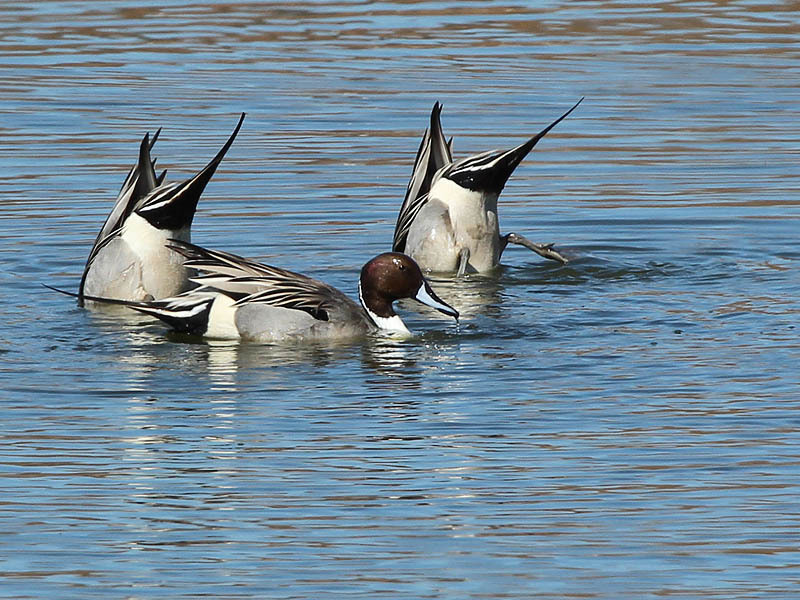 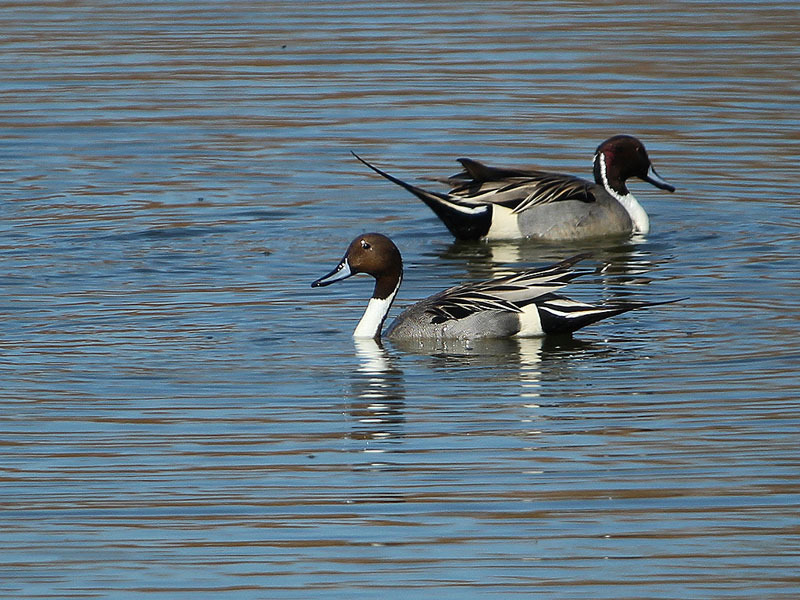 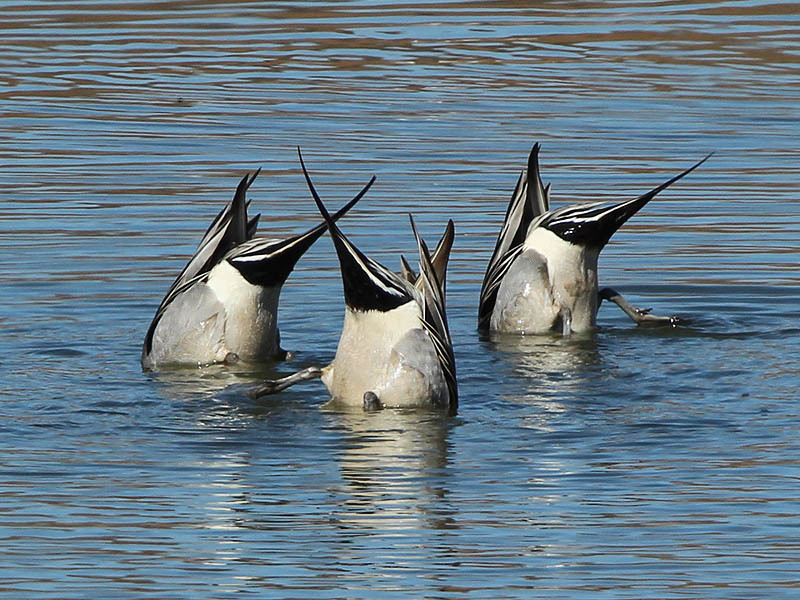 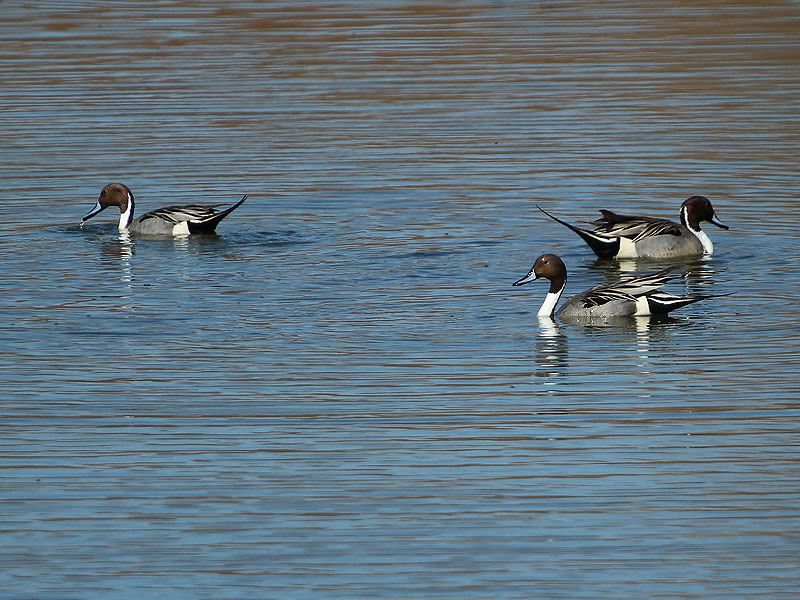 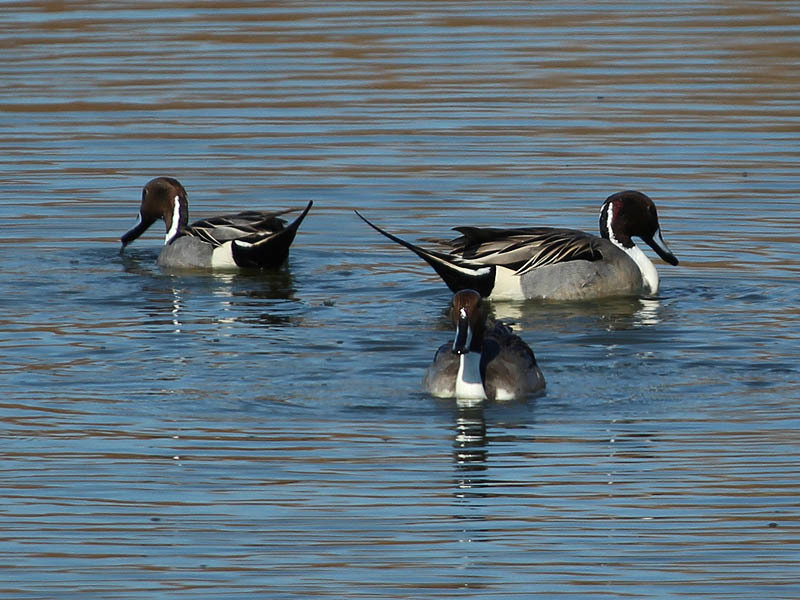 A trio of male Northern Pintails dabbling in a pond at the Village Creek Drying Beds in Arlington, Texas. 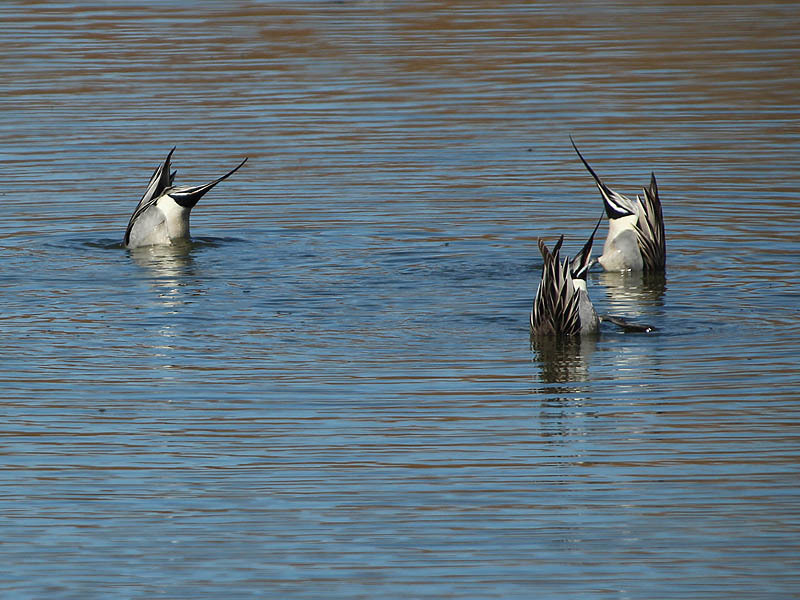 Dabbling ducks upend themselves in order to feed on submerged vegetation. 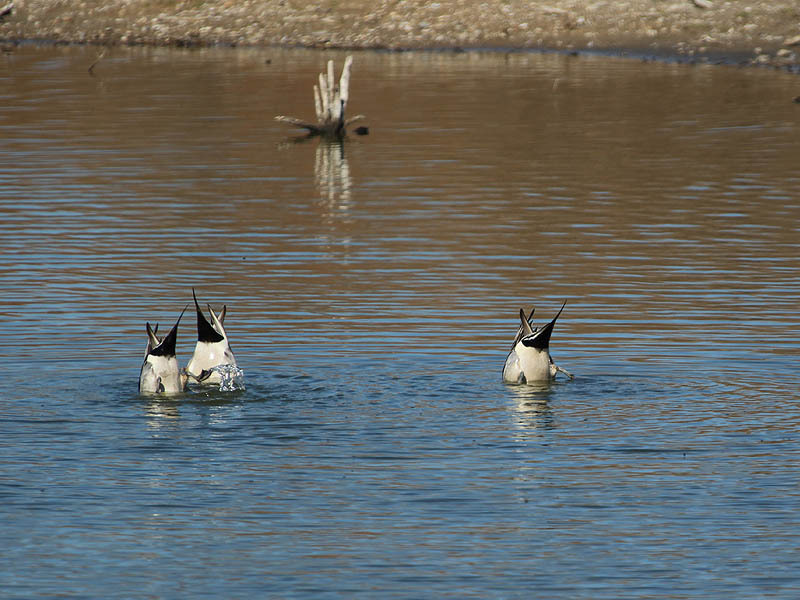 It can be quite comically to watch their legs flailing and their rear-ends bobbing up and down as they struggle to maintain this awkward position.